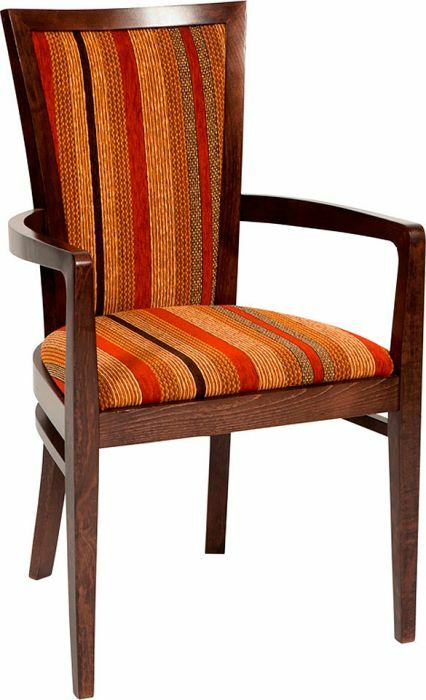 Stylish dining chair with large arms. Constructed around a solid wooden frame in a choice of 17 wood finishes. Optional upholstered seat and back version available. Variation of the Icarus dining chair with large arms for support, available with optional upholstered seat and back in a range of fabrics.